CARROLLTON, GA – With a new Carrollton High School senior class ushered in Aug. 2, the former class is now on its way to college, careers, or the military with the majority – 73 percent of the graduates – selecting college as their next step. Of the Class of 2018’s 371 graduates, 272 have been accepted to a total of 133 schools and have committed to attend 69 of them across the country, according to statistics compiled by the CHS Guidance/Career Center. 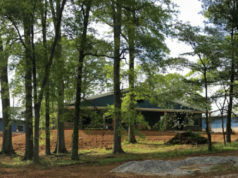 Graduates will be attending prestigious institutions such as Vanderbilt University, Massachusetts Institute of Technology, Purdue University, United States Nuclear Power School, and Williams College, while others will attend top regional research universities such as Georgia Tech, the University of Georgia, Augusta University, Georgia State University, the University of North Carolina at Chapel Hill, University of Alabama, and Auburn University. Of the class, 121 graduates plan to attend state universities, such as the University of West Georgia here in Carrollton, Columbus State, Kennesaw State, Georgia Southern, Albany State and others. Private institutions also are well represented and include Berry College, Clark Atlanta University, Savannah College of Art and Design, Mercer University, Emory University and a host of others nationwide. Technical colleges are also in the mix. 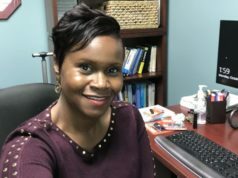 Twenty-eight graduates selected West Georgia Technical College with many on track to complete programs started while they were dually enrolled as CHS students. Many top-tier graduates applied to and were accepted by multiple schools, but could only choose one to attend. This included 12 students who were accepted by Georgia Tech, with seven attending; and 39 accepted by the University of Georgia, with 23 attending. 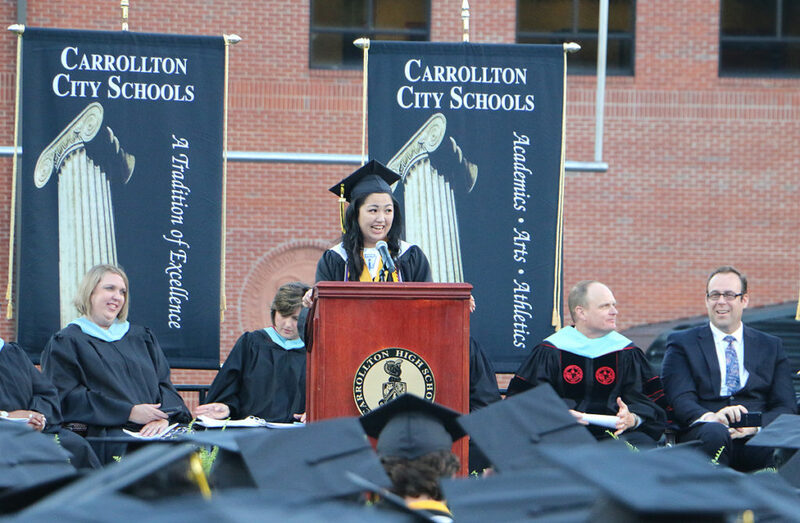 Carrollton High School Class of 2018 Valedictorian Amber Zheng gives her graduation speech at the May 18 commencement ceremony in Grisham Stadium.